Google revealed a robocaller that sounds eerily human earlier this month. The demo impressed developers, but mortified others who criticized the company for presenting an artificially intelligent bot that posed as human. Since Google revealed a robocaller that sounds eerily human earlier this month, the company has faced plenty of questions about how it works. Employees got some answers this week. On Thursday, the Alphabet unit shared more details on how the Duplex robot-calling feature will operate when it’s released publicly, according to people familiar with the discussion. Duplex is an extension of the company’s voice-based digital assistant that automatically phones local businesses and speaks with workers there to book appointments. 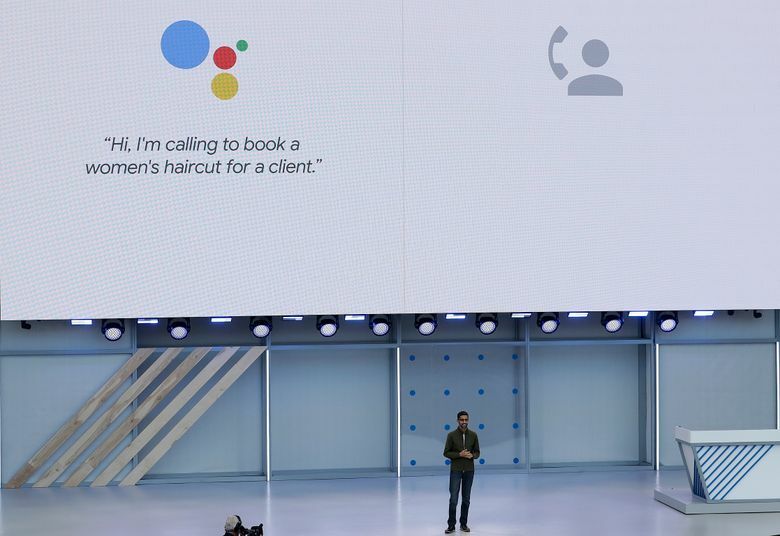 Google introduced Duplex earlier this month at its I/O developer conference, playing several clips of its assistant booking a haircut and a restaurant table with impressively casual speech. The demo impressed developers, but mortified others who criticized Google for presenting an artificially intelligent bot that posed as human. Still, Google has yet to say whether the businesses used in its demos knew they were speaking with a Google bot or being recorded. Several U.S. states, including California, Washington, Florida and Massachusetts, have two-party consent laws that prohibit people or companies from recording phone conversations without consent, according to the Digital Media Law Project.